Show somebody special how much you care with this selection of pastel-coloured Avalanche Roses. We have included those of the peach, white, and sweet varieties to make up this gorgeous display. 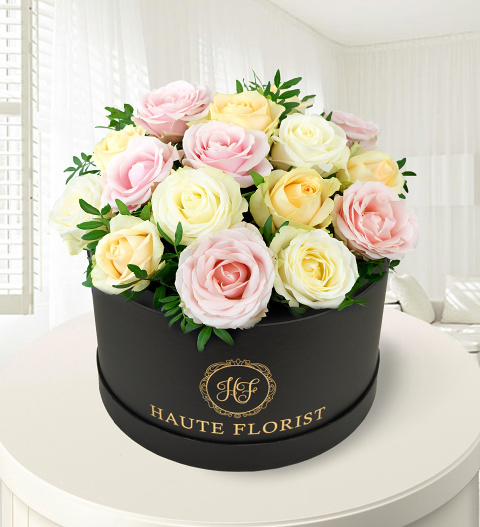 All arranged in an elegant hat box, this floral display is perfect for any occasion!